Cushing’s disease is very rare in the paediatric population. Although uncommon, corticotroph hyperplasia causing Cushing’s syndrome has been described in the adult population, but appears to be extremely rare in children. Likewise, cyclical cortisol hypersecretion, while accounting for 15 % of adult cases of Cushing’s disease, has only rarely been described in the paediatric population. Here, we describe a very rare case of a 13-year old boy with cyclical cortisol hypersecretion secondary to corticotroph cell hyperplasia. The case is that of a 13-year old boy, presenting with a long history of symptoms and signs suggestive of hypercortisolism, who was found to have cyclical ACTH-dependent hypercortisolism following dynamic pituitary testing and serial late-night salivary cortisol measurements. The patient underwent endoscopic transsphenoidal resection of the pituitary. Early surgical remission was confirmed by undetectable post-operative morning plasma cortisol levels. Histology and immunocytochemistry of the resected pituitary tissue showed extensive corticotroph cell hyperplasia. Conclusion: This report describes a rare case of cyclical Cushing’s disease secondary to corticotroph hyperplasia in a paediatric patient. 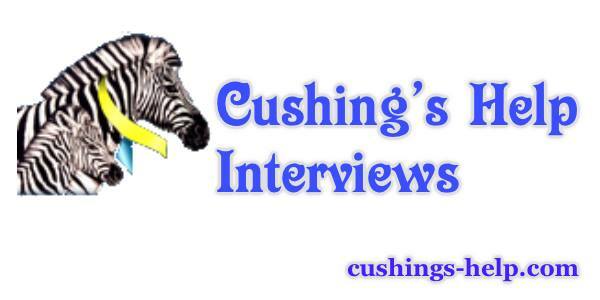 This highlights the challenging and varied nature of Cushing’s disease and its diagnosis, and the need to keep a differential diagnosis in mind during the diagnostic process. Michelle was our guest in an interview on BlogTalk Radio Wednesday, May 13, 2015. In reality, Cushing’s is not as rare as we once thought. The fact is that Cushing’s is just rarely diagnosed! Non experts tend to not test accurately and adequately for Cushing’s. CHICAGO – Late-night salivary cortisol exceeded normal limits in 10 women with recurrent Cushing’s disease a mean of 3.5 years after transsphenoidal surgery, but their urinary free cortisol remained in normal limits, according to a retrospective review from the Medical College of Wisconsin, Milwaukee. That adds strength to the notion that late-night salivary cortisol (LNSC) catches recurrent Cushing’s that’s missed by urinary free cortisol, even though UFC remains a standard screening approach in some places. The study is tiny and retrospective, but at the joint meeting of the International Congress of Endocrinology and the Endocrine Society, lead investigator Dr. Ty Carroll explained why the findings still matter, and also why two LNSC measurements are better than one.